performsone of hisclassics: IN THE BEGINNING from his recording: LIFE AND DEATH. express permission of the performer and/or their recording label. Large files may take a few moments to load. My first taste of Atlantic brine was on a stretch of beach south of Annapolis called Mayo. 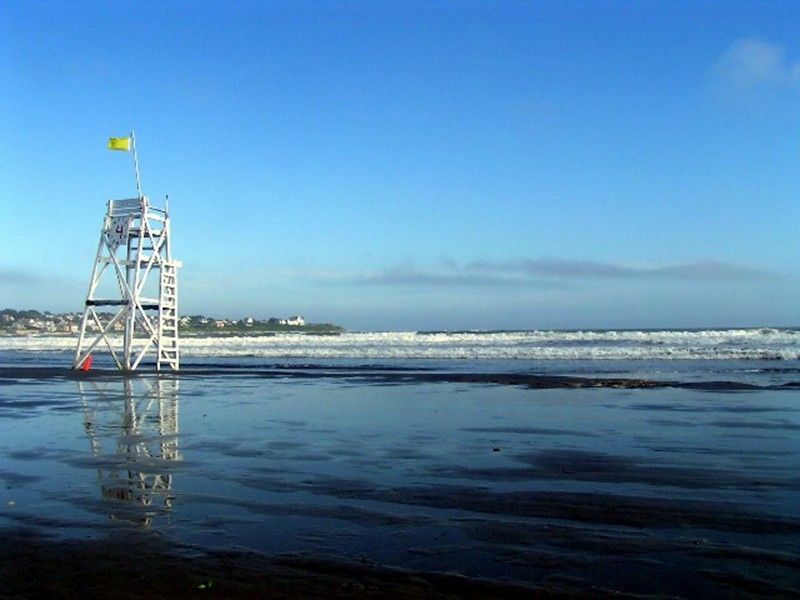 It was somewhere between the end of the Eisenhower administration and the early days of Camelot that I left my footprints on those Maryland sands. While John Fitzgerald and other sons of the Kennedy clan were most likely playing touch football at Hyannis, another fellow navy man, retired Lieutenant Joseph Haslinger brought his niece and nephew from New Jersey, and some portion of his own brood of ten to this tranquil expanse on the Chesapeake. Over the next five decades I would leave a fleeting imprint on Atlantic shores from the Gulf of Mexico to the Sea of Hebrides. My fondest memories are of those days when I could sit for hours and view the timeless dance and exchange between land and sea. And what I would consider to be my halcyon days were when that watch could be maintained from the vantage point of a good bar. 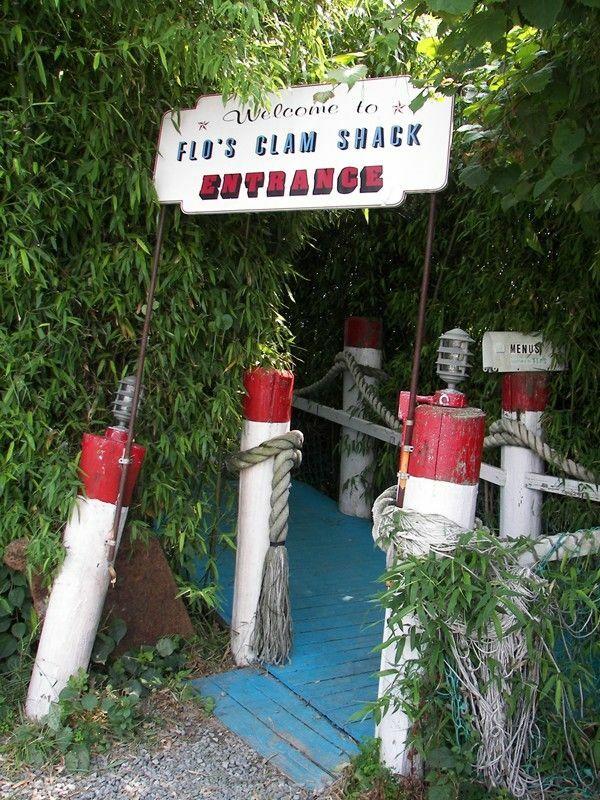 One such location along the Atlantic trail is FLO'S CLAM SHACK in Middletown, Rhode Island. 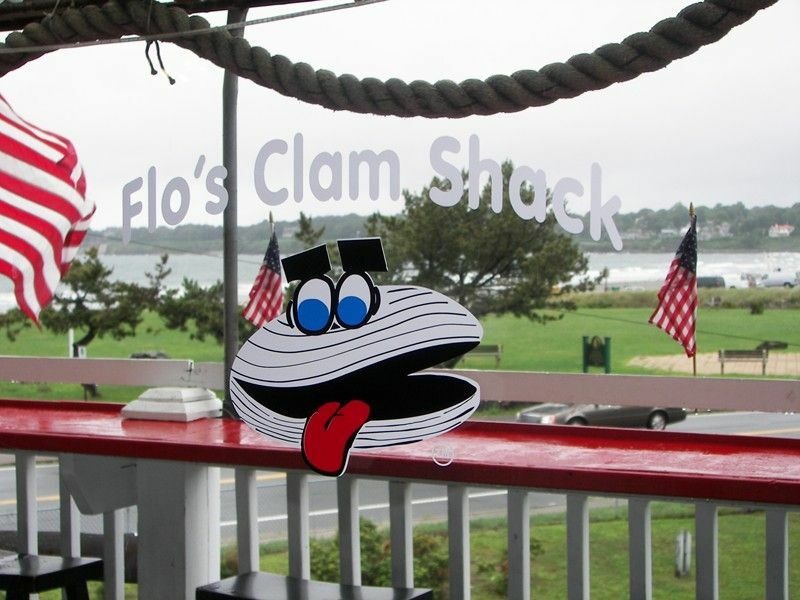 While this seaside gem, located across from Easton’s Beach, has been a favored stop for a few years, this summer’s pilgrimage to the Ocean State was all about quality time at FLO'S. 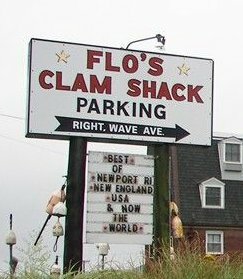 We bypassed the usual in town hostelries of Newport in favor of lodging located near this venerable New England clam shack. 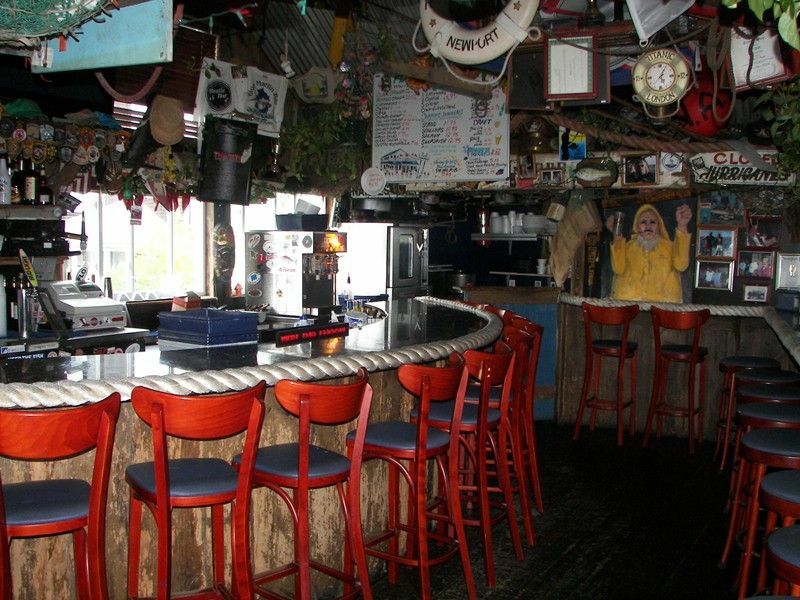 It was Chris, a good friend and bartender at FLO'S that recommended we set up our base of operations at the Sea Whale Motel. This delightful find was in and of itself a great story. 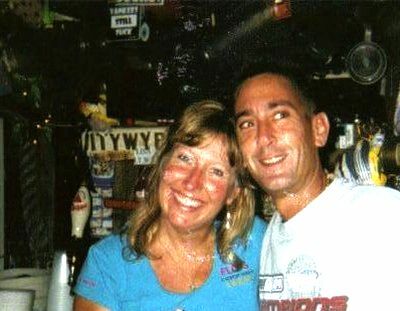 The proprietors of the Sea Whale, Teri and Jeff, met in New York City in the early nineteen eighties, fell in love, married and opened a flower shop. For Jeff, whose professional hockey career with the Boston Bruins was cut short by injury, the journey was probably somewhat different than what he had envisioned. And as quickly as fate would amend his stay in Bean Town, another bend in the road would alter their circumstance in the Big Apple. 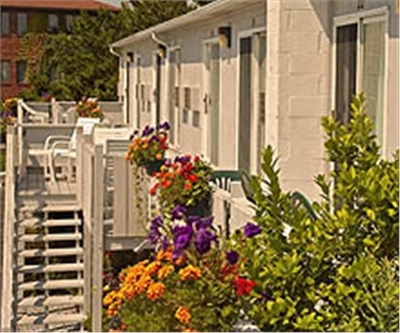 On a whim one summer weekend Teri and Jeff took off to Rhode Island without the benefit of reservations. With Newport being booked out they head into neighboring Middletown and happen upon the Sea Whale. For the next fourteen years it will be where they spend their vacation. During that time they will make two attempts to purchase the property, and in December of 2002 it would become their home. 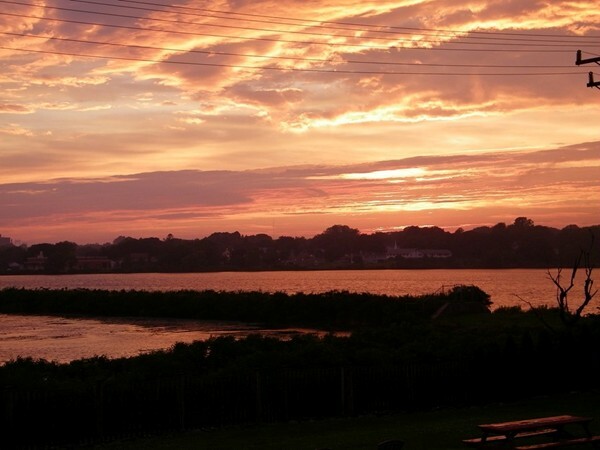 One need only sit once through a sunset over Easton’s Pond to understand their love for this place. 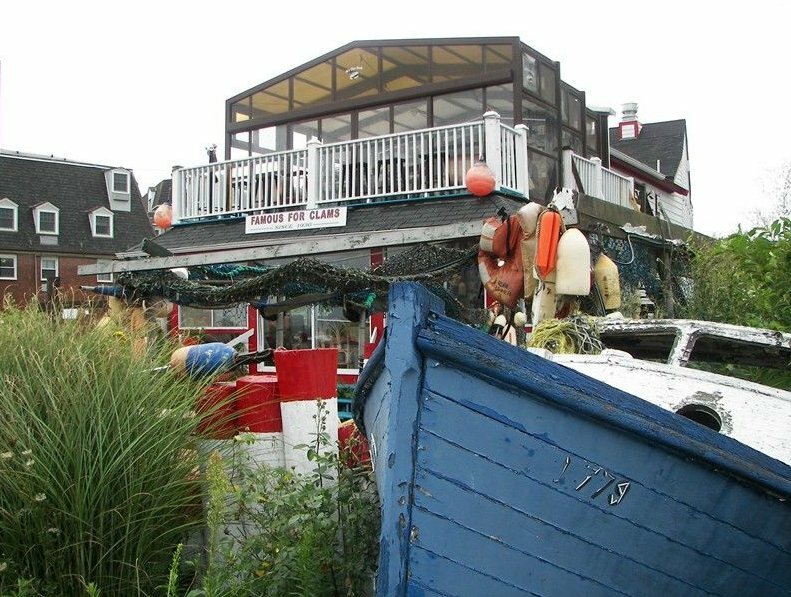 And if it were not for the outstanding scallops and exceptional pints of Bass that await us at FLO'S, Fran and I would never leave the upper deck at the Sea Whale. While the editorial policy of this magazine is never to engage in comparing or rating one public house over another, my personal feelings about an establishment can be gauged by what I call the “Ten Hour Rule.” Simply stated, anytime I spend ten or more hours, not that they necessarily be contiguous, at any given bar during any twenty four hour period, I suspect that I am supremely fond of the location. To date only a handful of taverns have met the criterion: the Peculier Pub(spelling intended) and P.J. 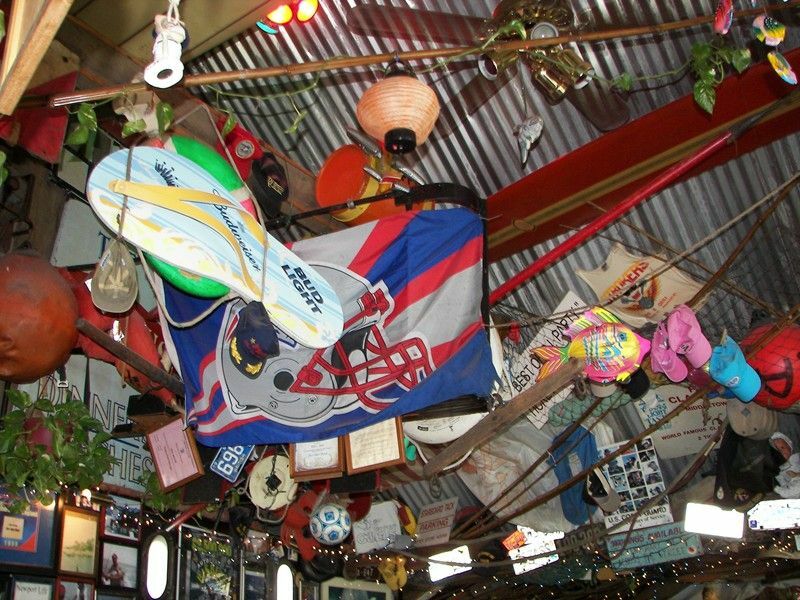 Clarke’s in New York City, the Cat’s Eye in the Fells Point section of Baltimore, the Ponderosa Saloon in Virginia City, Nevada and of course, Flo’s Clam Shack. We began our most recent session at Flo’s with Chris at the helm. He comes to these shores with the warm breezes of summer, and unless delayed by the post season play of the Red Sox departs the New England chill by early fall. For most of the year he provides cocktails and counsel at a pub along the Florida coast. There are few in the business that can preside over a room as well as Chris, except perhaps for Lisa who joins him later in the day in order to assist with the evening crush. Between them they are a perfect study of competence, command and congeniality. The next morning I return to take some photos of the bar before the first customers arrive. With that task complete, Lisa pours me a Bass and I sit back to begin another Atlantic watch under stormy skies. As I ponder the roiling waters it occurs to me that we are like the waves, coming ashore briefly, leaving something of ourselves behind, taking with us something of every wave that has washed over the sand previously, and before returning to the sea seeking some sign of affirmation from above to validate our time on the beach. On some days, that sign is a double rainbow and on others . 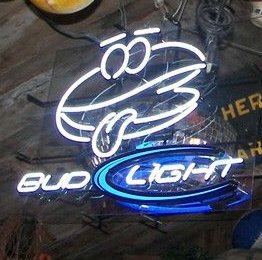 . . it’s a neon clam. 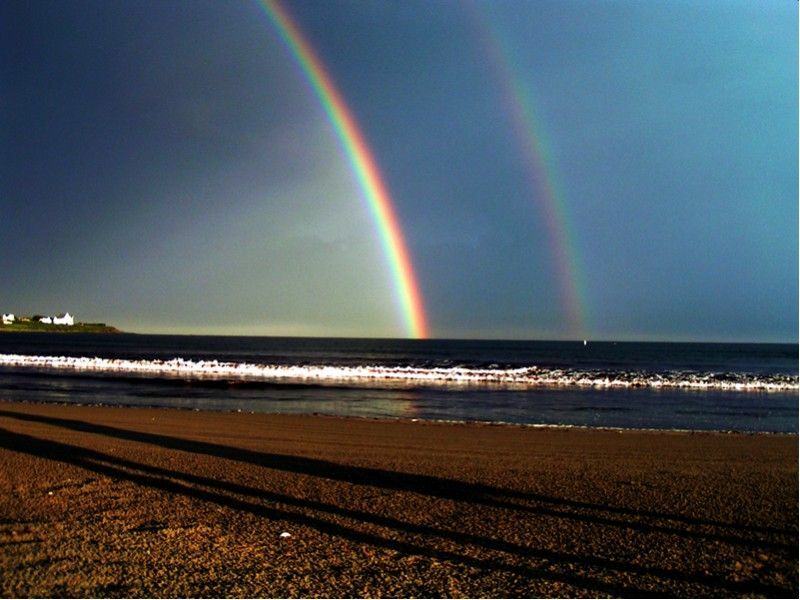 A GOLDEN MOMENT ON EASTON'S BEACH IS A TREASURE WAITING TO BE FOUND . . .
. . . AS IS EVERY MOMENT EVERYWHERE! Many thanks to Barry Botelho for the use of his photos. They were a personal source of inspiration, and it is an honor to share them with our readers.